There are a lot of reasons why we’ve made it our business to create beautiful weddings, but one stands out over all the rest: they’re heaps fun. The beautiful settings, the expressions of love, the way the aunts and uncles let loose on the dance floor after a few glasses of champagne – it all makes for an incredibly fun evening that we love helping to put together. The planning is also a lot of fun, too. This is thanks to the fast-paced wedding industry, which switches up its style with every season. There’s always some hot new colour, a hip new dessert that’s en vogue, or a stunning new dress design for us to go gaga over. Some trends last only a season while others persist for months (or even years), but every one of them is a delight to incorporate into our events. Not every bride wants to be a fairy princess. In fact, more than a few want to be rock stars – and that’s just what they’re becoming in stunning, sparkly wedding gowns. Ever since wedding dress designers Houghton added some silver sequins to their 2017 collection, it seems that brides everywhere can’t get enough. And brides aren’t just indulging their wild side with their sparkly gowns. Some are rocking custom leather jackets (a nod to Kim and Kanye, perhaps? ), and others still are trading in the classic updo for relaxed, beachy waves or the chic, just-rolled-out-of-bed look. Thanks to this amazing trend, we may see a few brides walking down the aisle to the sounds of electric guitars. 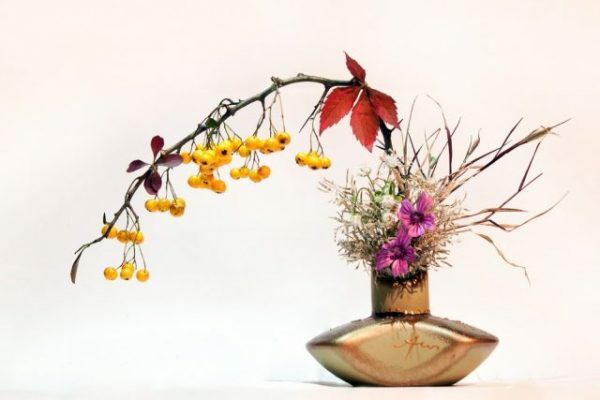 Ikebana is the Japanese art of flower arrangement, creating awe-inspiring displays that are as unique as they are beautiful. 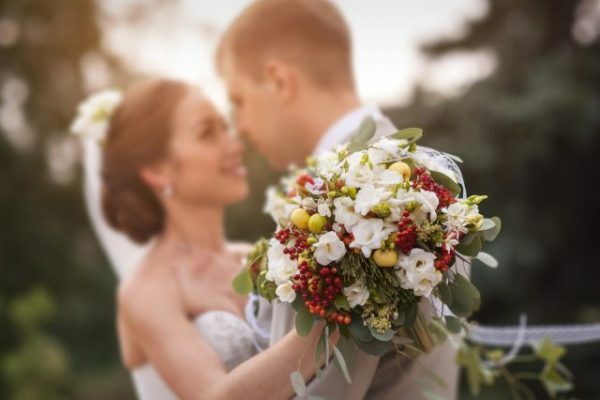 These gorgeous bouquets are becoming increasingly popular in the wedding industry as decorative features, from centrepieces on the reception tables to aesthetic pieces surrounding the ceremony space. You can incorporate ikebana into your bouquet, too! The minimalist, structured look of the flowers will add some high drama to your bridal look, and the photos with your bouquet will be absolutely breathtaking. Just be sure you have another bouquet to toss later in the night – you’ll certainly want to keep this one for yourself. These days, many couples cringe when they consider the cost of getting married. Honestly, we can’t say we blame them; the average wedding in Australia is over $36,000. 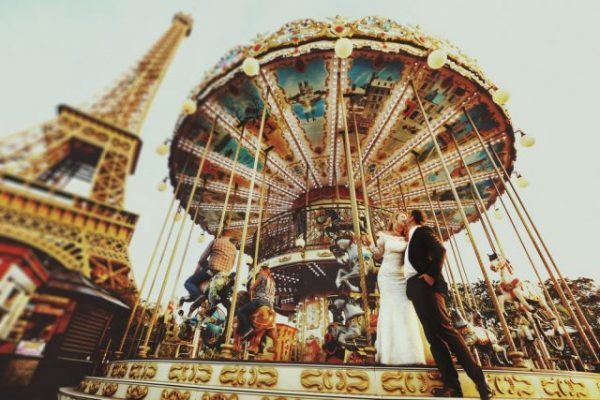 Because of this, many couples are getting married in an untraditional way and in an unusual place. That’s right, we’re talking about destination weddings. Have you always wanted to see Paris? Go ahead – and while you’re at it, get married there. Destination weddings are a way to see the world with the person you love (and the people you both love), while also celebrating the next step in your life. No matter where you go, you’re sure to make some unforgettable memories! Do you know what annoys everyone in the wedding industry? A guest who can’t keep from whipping out his mobile as the bride walks down the aisle. That bloody thing can get in the way of the professional photographer – and even if it doesn’t it detracts from the magic of the moment! Luckily for us, it appears that couples are catching on and starting to insist that their guests’ mobiles be shut off. The “unplugged wedding” trend goes to show just how special a wedding is. 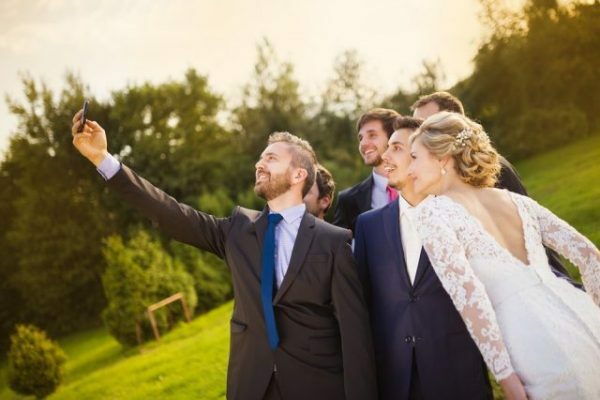 Despite our hyper-connected world, where everything must be documented with a selfie or a tweet, weddings persist as one of a select ceremony that remains sacred. Frankly, we admire our couples’ commitments to each other and to the celebration of their love, and we hope that this trend, above all others, lasts for many years to come. Naomi is a freelance writer from Southern California. She loves writing about home decor and education. When she’s not writing, she loves to spend time with her husband and three children.